Adam Spiegel was born on the 22nd October 1969 in Rockville, Maryland, USA of British and German descent. 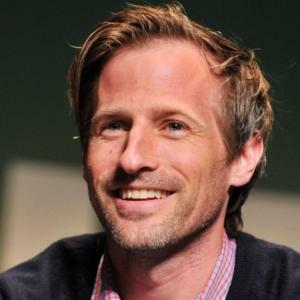 As Spike Jonze, he is known as a producer, director, and screenwriter, probably best recognized for directing “Being John Malkovich” (1999), “Adaptation” (2002), and “Her” (2013). He is also known for being an actor in a number of film and TV titles, such as “Three Kings” (1999), “Bad Grandpa” (2015), etc. His career has been active since 1989. So, have you ever wondered how rich Spike Jonze is as of mid- 2016? It is estimated by authoritative sources that Spike counts his net worth at the impressive amount of $40 million as of mid- 2016, which has been accumulated through his career in the film industry. Another source is coming from his co-owning Director Label. Beside that, he is also the creative director of Vice Media, Inc., as well as the owner of a skateboard company, which has further increased his net worth. Spike Jonze spent his childhood time divided between Bethesda, Maryland and Gulph Mills, Pennsylvania, where he was brought up by his father, Arthur H. Spiegel III, who was the founder of APM Management Consultants, and his mother, Sandra L. Granzow, who was a writer and artist; his brother is Sam “Squeak E. Clean” Spiegel, known in the media as a DJ and music producer. Spike attended Walt Whitman High School, and upon matriculation he became a student at the San Francisco Art Institute. In his teens, he was a member of the international BMX Club Homeboy, and worked as a photographer for “Freestylin’ Magazine”. Parallel with that, he became the co-creator of magazines “Dirt” and “Homeboy”; however his career began to turn another way. Before Spike began directing films, he directed several music videos for songs performed by Bjork, R.E.M and Beastie Boys, among others, which was the main source of his net worth at that time. Before the 2000s, he directed his first film, the successful Charlie Kaufman’s creation “Being John Malkowich” (1999). The movie became a blockbuster, launching Spike into the world of directing. Since then, he has directed four feature films, a number of short films, and also numerous videos, for artists such as Weezer, Sonic Youth, Daft Punk, and many others, all of which have raised his net worth. His second feature film was “Adaptation” (2002), written again by Charlie Kaufman, which had a budget of $19 million, and grossed $32.8 million, increasing his net worth. His next directorial venture was the film he also wrote, entitled “Where The Wild Things Are” (2009), starring Catherine O` Hara and Forest Whitaker. In 2013, his next film came out, entitled “Her”, with main roles gone to Scarlett Johansson, Amy Adams and Joaquin Phoenix. Furthermore, Spike is also recognized as an actor, appearing in more than 20 film and TV titles; he made his debut appearance in 1993, a brief role in the film “Mividaloca”. Six years later, he featured in the film “Three Kings”, with George Clooney and Ice Cube in lead roles, and in 2010 he appeared in the TV series “The Increasingly Poor Decisions Of Todd Margaret” through to 2012, and in 2013 he made a cameo in his film “Her”. All these appearances contributed to the overall size of his net worth. To speak further of his accomplishments, he featured in the film “Bad Grandpa” (2013), and most recently he appeared in a brief role in the TV series “Girls”, among other appearances, all of which have added to his net worth. Thanks to his skills, Spike has received several prestigious awards, including an Oscar for Best Writing, Original Screenplay and a Golden Globe in category Best Screenplay – Motion Picture both for the film “Her”. Overall, he has won more than 50 awards, and has more than 90 nominations, which speak of how great his career is. Regarding his personal life, Spike Jonze was married to director Sofia Coppola from 1999 to 2003. Later, he was dated Michelle Williams (2008-2009), and two years later, he was in a brief relationship with actress Rinko Kikuchi. 4 Often makes his actors appear unattractive, e.g. Cameron Diaz's frizzy hair and frumpy wardrobe in Being John Malkovich (1999), outfitting Nicolas Cage in a fatsuit and receding hairline in Adaptation. (2002). 8 Seamless integration of special effects into live-action photography (Being John Malkovich (1999), Adaptation. (2002), Where the Wild Things Are (2009)). 9 [Off-beat] His films/music videos are off-beat in their visual storytelling, particularly their mix of live-action, animation, and puppetry. 1 [on Amy Adams] The thing I realized with Amy is, she can make any dialogue you write sound unwritten. She just has a way of internalizing it. She's such a thinker, and you can see her thinking her way through all of that until it's all coming from within her. 2 There was definitely a point in my thirties when I thought, 'Oh, wow, I'm not the youngest person on the set anymore. But I like it. Working with younger artists is totally exciting...[And Arcade Fire:] Most of them are ten years younger than me and they just feel like peers. Their process is very democratic. Anyone in the group can come up with an idea and play over someone else. 3 [on Joaquin Phoenix's first reading for/ acting in Her (2013)] I loved him...[He was] all instinct [and] when something felt weird, when Joaquin was uncomfortable with something, I knew it meant there was some place I had cheated or hadn't thought through or hadn't gone deep enough. His flinch is always worth listening to...I'm always amazed when any actor can decipher my direction. I think, 'God, I can't believe Joaquin just understood what I meant when I barely said anything'. 4 [on the origins of Her (2013) from his long-ago encounter with an artificial-intelligence computer program] For the first 30 seconds, I had that buzz, like, It's responding to me! Then it quickly fell apart and you realize, Here are the tricks, here's how this works. But what if I could sustain that forever? What would that be like? I wanted to take that idea as far as I could possibly imagine and feel. 5 As a feature film director you got to be a guarding dog of the whole production. You got to be able to hold 100 script pages in the head at the same time. If you miss a detail it's wasted. I don't know how the music video generation can affect the movie business, but I'm curious what feature films the English Chris Cunningham and the Swedish guy Jonas Åkerlund are going to make. 1 As of 2014, has appeared in three films that were nominated for the Best Picture Oscar: Moneyball (2011), Her (2013) and The Wolf of Wall Street (2013). 2 Grew up with friend and Jackass co-creator Jeff Tremaine. 3 His father was from a German Jewish and Russian Jewish family, while his mother's ancestry includes German, Scottish, and English. 4 His close movie-making friends include music-video director Chris Cunningham, Charles Kaufman, David Fincher, Catherine Keener, Nicole Holofcener, Miranda July, Bennett Miller, and Steven Soderbergh. 5 Cousin of Gabriel Cowan. 6 Former son-in-law of Francis Ford Coppola. 7 Was set to direct The Curious Case of Benjamin Button (2008) back in 2001, with a release in late 2002 but backed out to work on Adaptation. (2002). 8 Good friends with musician Kanye West and director David Fincher. 9 Has directed two actors and two actresses to a Oscar Nomination - Catherine Keener (Best Actress in a Supporting Role, Being John Malkovich (1999)), Chris Cooper (Best Actor in a Supporting Role, Adaptation. (2002), Meryl Streep (Best Actress in a Supporting Role, Adaptation. (2002)) and Nicolas Cage (Best Actor in a Leading Role, Adaptation. (2002). Cooper won the Oscar for his role in Adaptation. (2002). 10 Before George Lucas decided to make the movie himself, Spike was in talks to direct Star Wars: Episode II - Attack of the Clones (2002). 11 Told Nicolas Cage to ignore all of his acting instincts, for his role in Adaptation. (2002). Cage later received a Oscar Nomination for his acting in that movie. 12 Was originally going to direct Synecdoche, New York (2008), but took the role as producer instead, to finish Where the Wild Things Are (2009). 13 Jonze was an avid BMX freestyle rider in his youth. 14 While filming Where the Wild Things Are (2009), Jonze kept in contact with the book's original writer Maurice Sendak, to mix Sendak's ideas with his own. 15 Is not to be confused with famous novelty musician and band leader Spike Jones. 16 Considered directing Memoirs of a Geisha (2005) but was already in pre-production on Where the Wild Things Are (2009), a pet project of his. 17 Was originally offered the chance to direct Human Nature (2001) after the success of Being John Malkovich (1999). He considered it, but declined, recommending fellow music video director Michel Gondry for the project. 18 Started as a magazine editor and contributor before moving into film. 19 One of the most renowned directors for music videos, he has received numerous awards and recognition from MTV for his outstanding work in the medium. 20 (early 1990s) Featured in a "Spike-Needs-A-Girlfriend" contest in Christina Kelly's 'What Now' column in Sassy Magazine. His requirements for a girlfriend were: "short hair, clear skin, and good teeth". 21 Contrary to popular belief is not an heir to the Spiegel catalog fortune, although he is a distant relative of those that are. 22 Was offered the opportunity to direct the movie The Hitchhiker's Guide to the Galaxy (2005), but declined. He suggested small British production company "Hammer and Tongs", instead. 23 He is co-owner of the Girl skateboard company. 24 Continues to shoot some of the finest films in the skateboarding scene, among these is Blind's 1991 magnum opus "VideoDays" and Girl's 2003 "Yeah Right!". 25 Was a member of Propaganda Films. 26 Brother of Sam Spiegel. 27 In 2001, at the age of 32, he directed the video for Fatboy Slim's "Weapon of Choice." This video contains 32 cuts. The Medúlla Videos 2005 Video short video "Triumph of a Heart"
Weezer: Video Capture Device - Treasures from the Vault 1991-2002 2004 Video documentary videos "Undone - The Sweater Song", "Buddy Holly", "Island in the Sun [2nd Version]"
The Best of R.E.M. : In View 1988-2003 2003 Video documentary video "Electrolite"
Björk: Volumen Plus 2002 Video video "It's in Our Hands"
Pavement: Slow Century 2002 Video documentary video "Shady Lane"
Cydeways: The Best of the Pharcyde 2002 Video documentary videos "Drop", "What's Up, Fatlip?" Beastie Boys: Video Anthology 2000 Video documentary videos "Sabotage", "Sure Shot", "Ricky's Theme", "Ciao L.A."
D.A.F.T. 2000 Video segment "Da Funk"
Clip Cult Vol. 1: Exploding Cinema 1999 Video video "Praise You"
Björk: Volumen 1999 Video video "It's Oh So Quiet"
R.E.M. Parallel 1995 Video video "Crush with Eyeliner"
Weezer: Video Capture Device - Treasures from the Vault 1991-2002 2004 Video documentary treatment - segment "El Scorcho"
The Work of Director Spike Jonze 2003 Video documentary segment "How They Get There"
The Work of Director Spike Jonze 2003 Video documentary segments "Mark Paints", "The Oasis Video That Never Happened"
The 86th Annual Academy Awards 2014 TV Special lyrics: "The Moon Song"
Her 2013 writer: "The Moon Song"
2006 DGA Award Directors Guild of America, USA Outstanding Directorial Achievement in Commercials For Adidas: "Hello Tomorrow", Miller Beer: "Penguin" and Gap: "Pardon Our Dust".